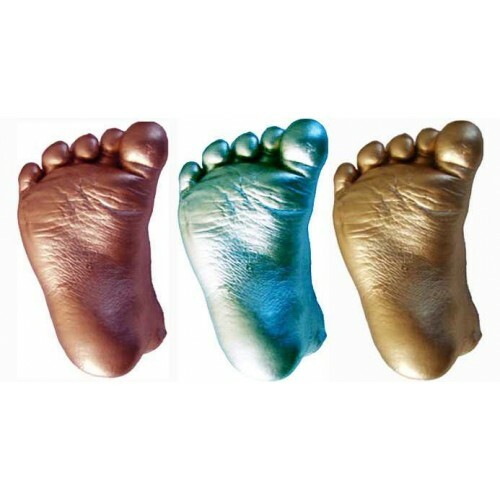 Our large, luxury 12 cast starter kit, an ideal luxury baby casting kit to produce up to 12 complete 3D baby casts, perfect if you want to create your own keepsakes and some extras for other relatives or if you have never life cast before and are nervous about doing it, this one gives you plenty to practice with to ensure that you get it right. 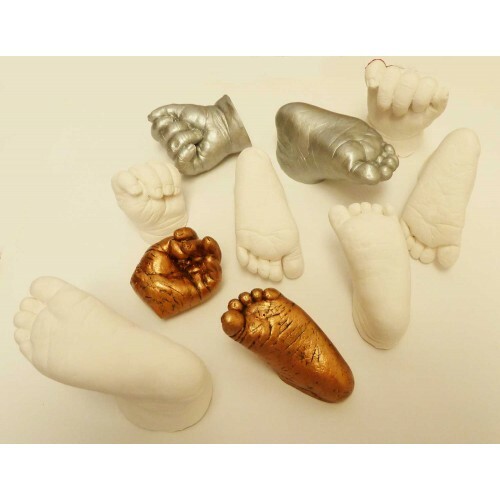 There are enough materials to create up to 12 baby casts (for a baby under 1 year), 6/9 casts of an older child or 2/3 adult hands, so plenty of material to practice with and a great purchase if you are nervous of life casting and wish to have extra practice to ensure you get it right. This kit is beautifully presented in a gift box with pretty tissue paper and is perfect as a thoughtful gift for someone else or a special treat for yourself. 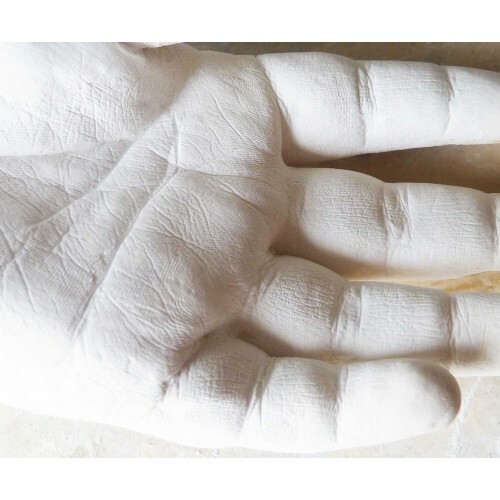 It contains everything that you need to create your casts, including plenty of impression powder and casting powder, plastic cups, sticks, stirrers, bags, and even a paintbrush, it also contains Gold, Silver and Bronze paint and easy to follow, step-by-step instructions making it really easy to use and enabling you to create a variety of different coloured casts to treasure forever, creating your own keepsakes is extremely satisfying and you can proudly show them off for years to come, knowing that you created them yourself. Gift wrapping is available at a small extra charge by clicking that option. All presented in a gift box. This kit price is inclusive of VAT and we also offer FREE UK MAINLAND DELIVERY & subsidised posting charges on other areas.